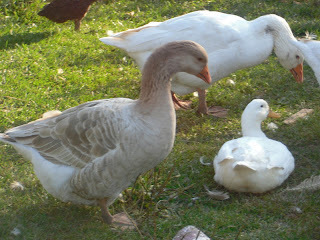 My family visited with my friend at her farm, Stone Meadow Farm, on Thanksgiving Sunday. Hope you enjoy the following photos. 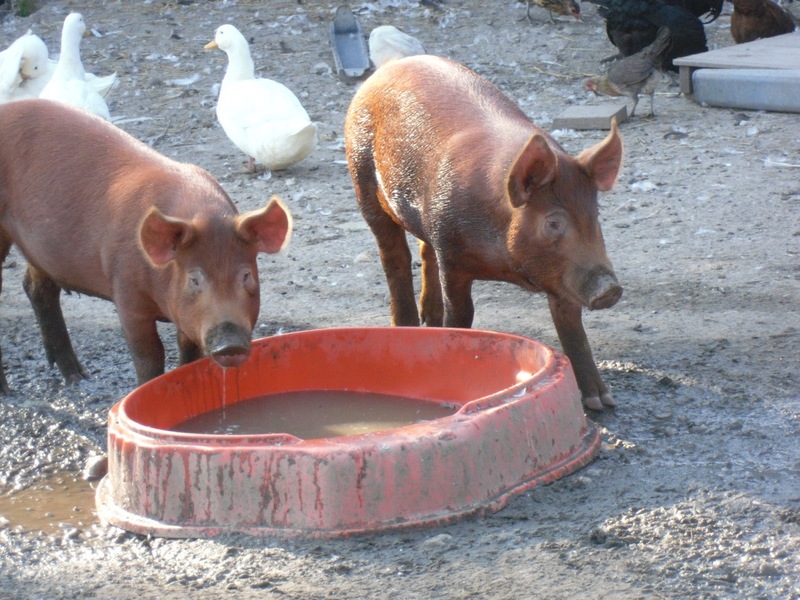 Tamworth piglets. These are a Heritage breed. 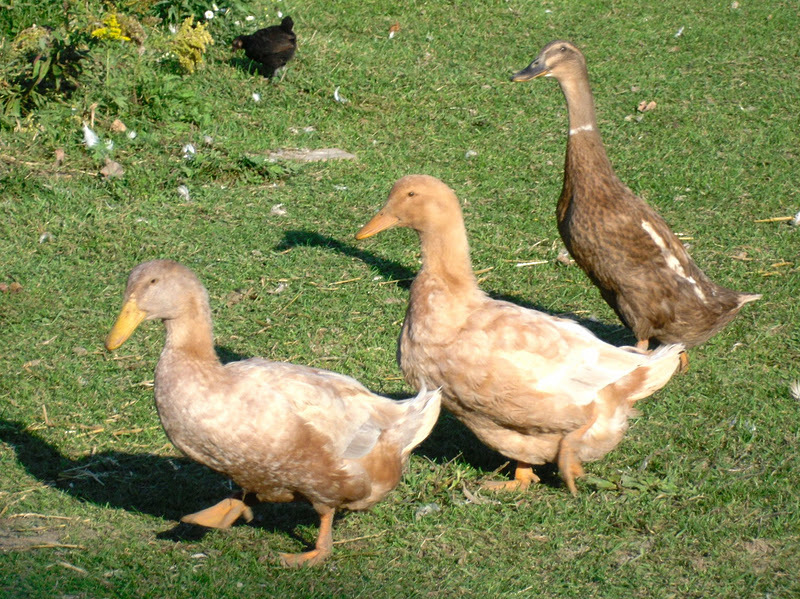 The duck on the extreme right is an Indian Runner Duck. These ducks are hilarious to watch. 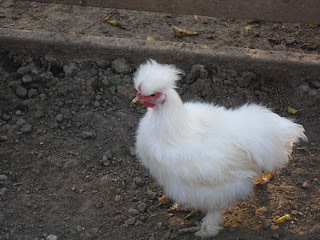 My friend has quite a few and they usually walk around in a tight flock. their feathers don't knit together, so they look fluffy. 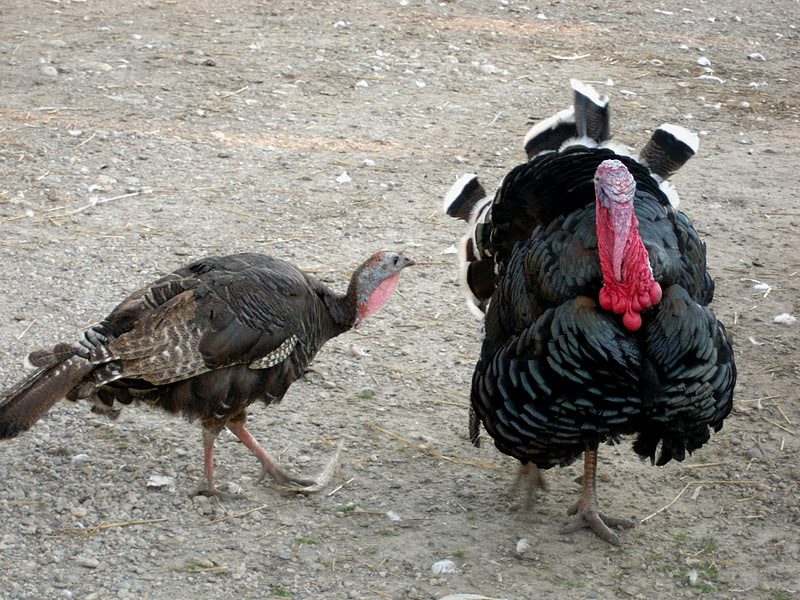 These two wild turkeys have escaped the oven this weekend, though the male, on the right, could be on the menu this weekend. 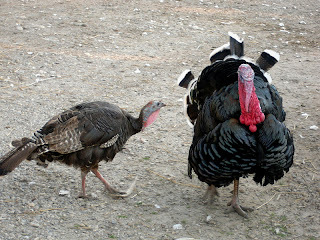 The female turkey was injured badly a few weeks back and lost a lot of feathers. My friend rescued both the bird and her feathers. She gave me the feathers for a project I am working on. The bird is doing well. If you would like to learn more about Stone Meadow Farm, please visit their blog. It hasn't been updated lately, but there are some lovely photos and stories. Oh my gosh, I've missed your blog. I'm so happy to be back online and blog reading. 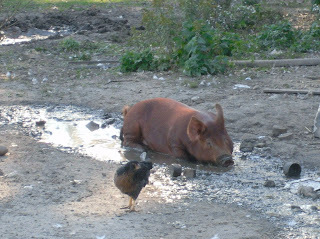 I love your pictures, the silky chicken is my favorite. I want a fluffy chicken. Wonderful pictures. 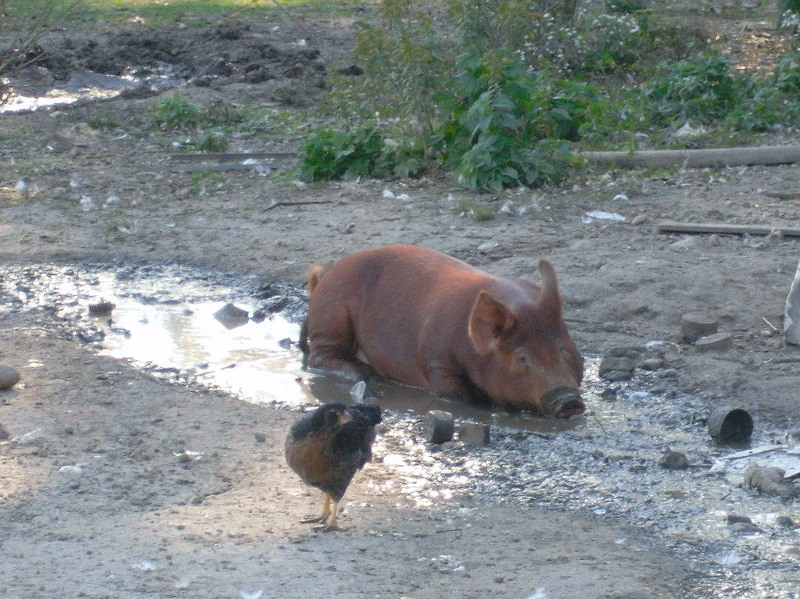 They are all great, but my favourites are the pigs.